Of all beauty products, nail polish has to be the most linked with chemicals - from standard nail lacquer to gel manicures and even the removal process. So when we met Green Celebrity Nail Stylist Jenna Hipp, we had to know how she does it using only eco-friendly, gluten-free and paraben-free products. She's polished the fingertips of celebrity A-listers like Michelle Williams, Zoe Saldana, Jennifer Lawrence and Emma Stone, who all clearly appreciate her not-so-toxic approach to nails. How do you define a "green" manicurist? When providing a manicure for my clients, my focus is on much more than just their nails. I think about every product that's a part of the process from skin exfoliaters to cuticle creams. Every product I apply to the skin is free of parabens, carcinogens, phalates, sulphates, gluten, etc., as I care deeply about clean, organic ingredients and believe what goes on and in your body is top priority. Many of the brands I work with are eco in their packaging or are involved in a specific charity that addresses our environment in some way. I really like knowing the brands I use and promote are making positive changes with our support. What made you want to go green? The switch came because of the symptoms: nosebleeds, rashes, headaches, dizziness, forgetfulness. I realized I could no longer expose my body to everyday beauty products, cleaning supplies and perfumes let alone my standard nail supplies. It forced me to take control of my health and my career for myself and my clients. I wanted my title to publicly identify a standard for myself, my clients, and hopefully inspire other industry professionals out there who are thinking about switching over their products. I believe in embracing the entire condition of the skin and nails, from the inside out as well as sourcing organic topical products and at home remedies. There was recent news about supposedly 3-free polishes not actually being free of dibutyl phthalate (DBP), formaldehyde and toluene. How can we know we're really using 3-free polishes? Even though a product may only contain trace amounts of these ingredients, go one step further and make sure your polishes are “5-Free” including formaldehyde resin and camphor as these are also known carcinogens. And don’t forget to read the labels of lotions, cuticle creams, soaks and scrubs, making sure you’re familiar with all the ingredients and their side effects. If you're not sure about your beauty products log onto Skin Deep and type them into the EW database to see your products toxicity level. Unfortunately, toxic chemicals are still prevalent in America because the consumer demand to remove them just isn’t there. Laws do not require cosmetics companies to prove that products are safe before putting them on the market. The bottom line is people just don't know the kind of chemicals that are in these products, and they don't realize that the U.S. government doesn't protect them against them. Skin Deep and the Environmental Working Group have been key factors in the awareness of these harmful chemicals, and they're forcing companies to remove them. With the average woman layering 144 applications of different products a week on her body, it’s important to know exactly what you're putting on - and ultimately in - your body. What are some of the basic things most women are using for at-home manicures that could be easily switched out for eco-friendly versions? Switch out your nail polish, nail polish remover, old nail files (as they can harbor bacteria) and dull, or rusty tools. What are the more green options? Are there effective polish removers that are also green? They say to avoid nail salons when you’re pregnant. 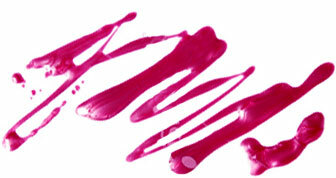 Acetone among other chemicals in nail polish are main reasons why. Non-acetone removers are less aggressive, but women looking for acetone-free nail products need to check the labels and confirm that the products are water-based and do not contain methanol. SpaRitual Extra Gentle Conditioning Lacquer Remover is an acetone-free nail polish remover that gently dissolves all traces of pigment while nourishing and soothing with Italian red mandarin and sugar-derived solvents. Still want more green nail polish suggestions? We're all fans of the entire range of RGB shades at Beauty Blitz. The RGB collection includes everything from hot pink and bright orange to trending pastels and rich shades of purples and reds. Priti NYC is another eco-minded brand that offers 3-free polishes in over 100 shades. SpaRitual not only has a great remover, but they also feature an extensive range of healthier nail enamels. Vapour Beauty, an organic cosmetics brand, just launched a collection of five Vernissage Nail Lacquers (shown above). Each shade comes from natural pigments and they're all 3-free, gluten-free and paraben-free and launch this May.